Battfleck is officially no more! Ben Affleck is officially out as Bruce Wayne in The Batman. And he is passing the torch to a new actor, who has yet to be cast. Warner Bros. announced the official release date for The Batman earlier today, with the standalone DC adventure set to arrive on June 25, 2021. 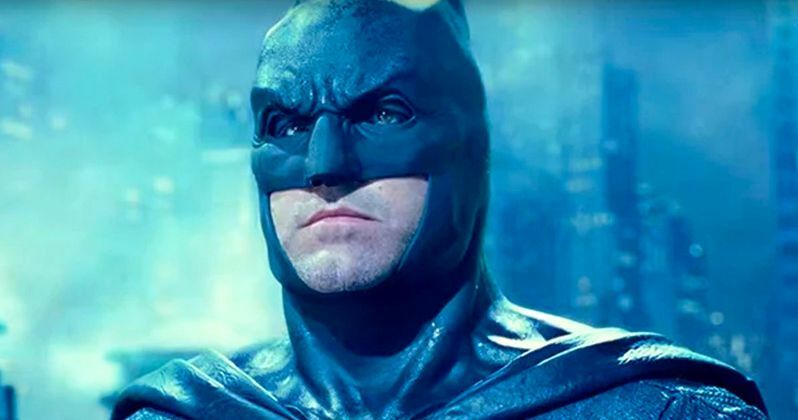 Shortly after the news was announced, Ben Affleck jumped on social media to wish director Matt Reeves well with taking the caped crusader into the future. The tweet was later confirmed to be Ben Affleck's goodbye to the character. Affleck was introduced as the caped crusader in the 2016 DC Superhero adventure Batman v Superman, and later played Bruce Wayne once again in 2017's Justice League. He also reprised the role for a glorified cameo in Suicide Squad. The Batman will follow the adventures of a younger Bruce Wayne. The story was set to follow Batman in his later years, with Ben Affleck originally attached to direct and co-write the script alongside Geoff Johns. While the pair did finish a draft of the screenplay, they could never get it where it needed to be. Affleck later removed himself from directing, handing the reigns over to Matt Reeves, though still presumably attached to star at the time. There has been much back and forth about Ben Affleck's ultimate involvement in The Batman. But now it's official. He is done. Reeves says this about carrying the movie into the future, explaining his plans for the film. "I have loved the Batman story since I was a child. He is such an iconic and compelling character, and one that resonates with me deeply. I am incredibly honored and excited to be working with Warner Bros. to bring an epic and emotional new take on the Caped Crusader to the big screen." When Ben Affleck was still attached to the movie, there were other actors also involved, including Joe Manganiello as Deathstroke and J.K. Simmons as Commissioner Gordon, both reprising roles from Justice League. It's now likely that they will no longer be involved. So far, there is no word on whom will replace Ben Affleck. Jon Hamm has been a popular candidate, but he's likely aged out of what Warner Bros., DC and Matt Reeves are now searching for. It is expected that Henry Cavill is out as Superman as well, but that has yet to be confirmed. Gal Gadot will continue playing Wonder Woman, with a sequel coming next year. And Jason Momoa just tore it up at the box office as Aquaman, so he's not going anywhere. Along with announcing a date for The Batman, Suicide Squad 2, which is now simply being called The Suicide Squad, was given an August 2021 release date, and Warner Bros. also announced DC Super Pets for that same summer.